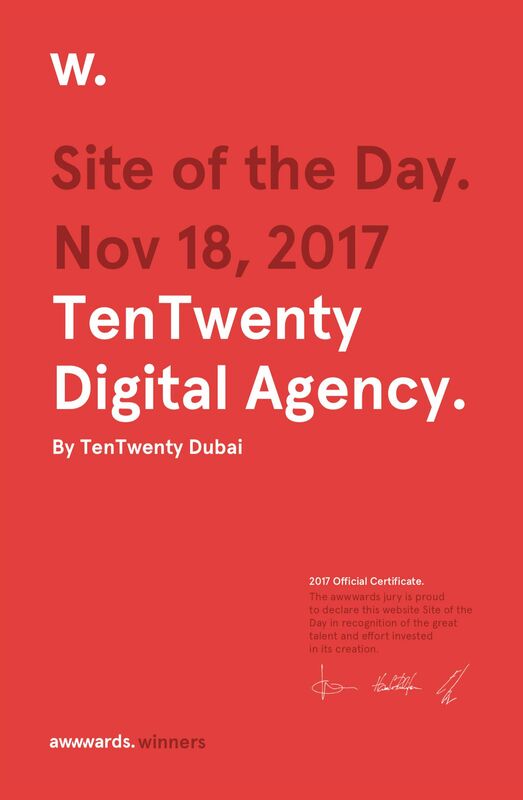 TenTwenty Digital Agency has been awarded with the 'Site of the Day' by AWWWARDS on the 18th of November 2017. At TenTwenty, we believe that the effective interplay between design and functionality is what sets our websites, ecommerce & apps apart. The results are beautiful, useful & responsive. TenTwenty Digital Agency is honoured to be awarded with the 'Site of the Day' by AWWWARDS on the 18th of November 2017. It's amazing to see that the team work that has been put into reaching this result is being recognized by the best of the best in the industry. A great motivation to keep on kicking in 2018! Have a look on the AWWWARDS website for more on this award.